Route 13 will eventually run from London through Essex, Suffolk, and Norfolk to end on Route 1 between Norwich and Fekenham. 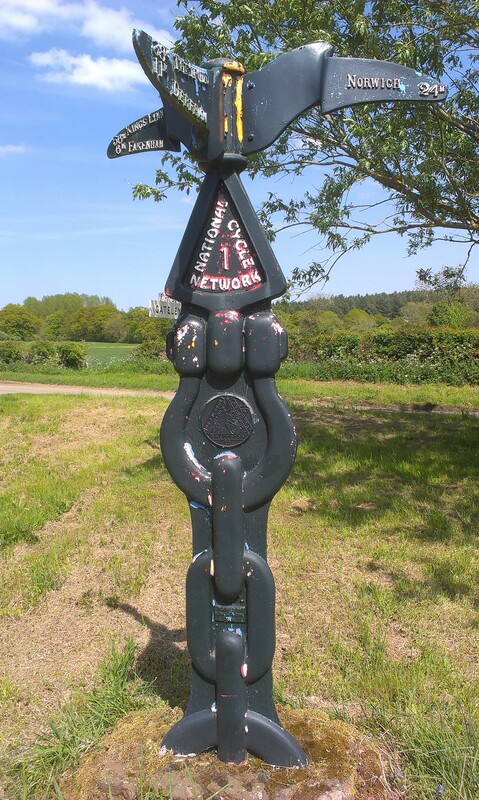 For more details, see the official Sustrans NR 13 page. Within the Breckland and Waveney Valley group area, route 13 runs from its northern end at Route 1 at Gateley, down through East Dereham, Watton, and Thetford. It leaves our area at Knettishall, but the route continues south to Bury St Edmunds.